Here are 8 reasons why you should choose Findécor’s team of painters for the painting of your office block. We adapt to your schedule so that your company won’t suffer sales loss during the painting and renovation job. It is very often that we are able to perform the painting of a whole 3 storied house in one single day. Obviously, our delivery time varies depending on the project, but it is very likely that we have a speed of 1 floor per day for the painting of your office building. We protect you floors, furniture, computers, lamps, and all objects that need not to be painted. 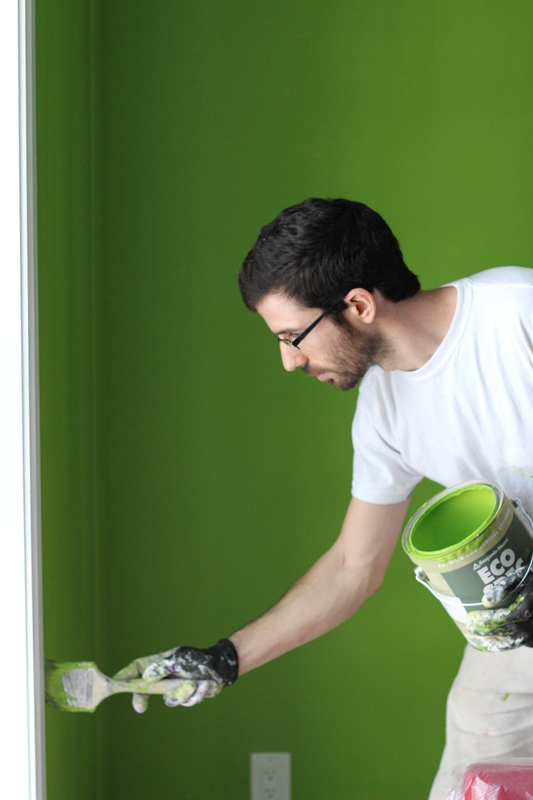 Of course, it’s easier for us to paint an empty office, but when that is not possible, don’t worry: we will take care of it! 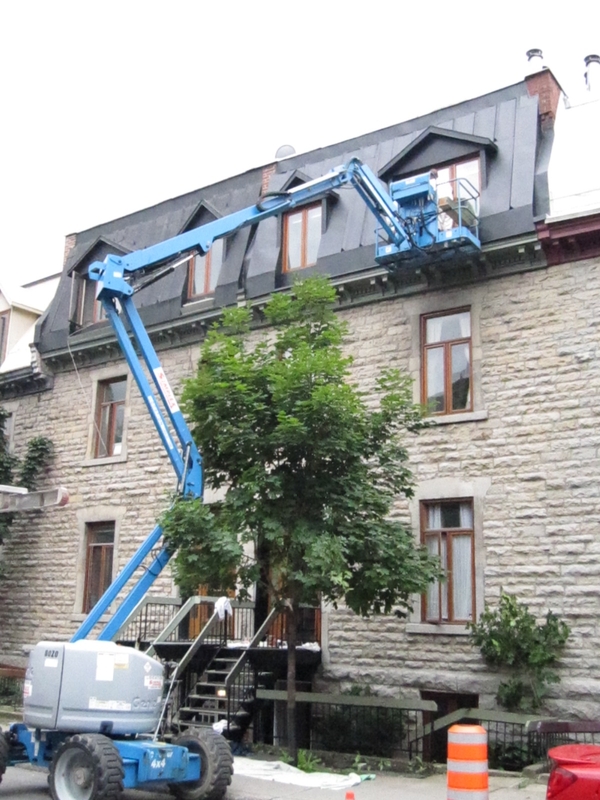 We own a 40-feet high hybrid lift that can be used either outside for façade painting, or inside for painting high ceilings and staircases. We can also rent a higher lift when needed. Spray painting is mostly used for exterior painting, and it gives an impeccable finish. Each of our painters has been trained to use the spray painting gun properly and efficiently. If your offices need more than the traditional paintbrush and roller, don’t worry: we are used to doing more! Indeed, we do minor renovations such as plastering, sanding, jointing, isolating, wallpaper removing, cupboards installation, varnishing and staining, and so on. If you wish, you can observe the painters on the site. Then, if you still have doubts on the quality of our work, we invite you to verify it all before letting us go. Our clients are our best advertising so we make sure everything is up to your satisfaction. You are not yet sure about which paint colors to choose for your office building rooms? Don’t panic! We will do a color test for you. We offer you long-term guarantees that vary depending on the surface. To learn more about our guarantees, see our Painting Services page. I’ll bookmark your blog and check agai right here frequently. Thanks for sharing your thoughts on reliable painter. am attempting to find things to improve my website!I suppose its ok to usee a few of your concepts! !